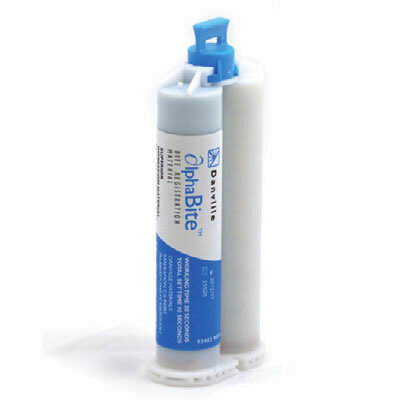 AlphaBite, from Danville Materials, is a bite-registration material manufactured with high-quality fillers and silicones that is a cost-saving alternative to Blu-Mousse. AlphaBite is nonsticky, stable, and accurate. Sky Blue in color and offering a working time of 30 seconds and a total set time of 90 seconds, AlphaBite is available in 50 mL cartridges in 2- and 4-packs.